A potter separates stones and other impurities from the clay to be used in the pottery making. 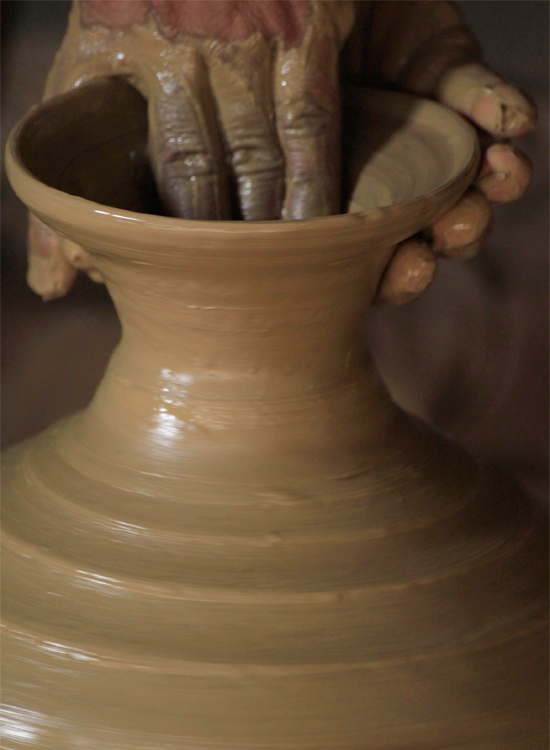 The potter starts shaping the pot by placing a lump of clay on the potter’s wheel. 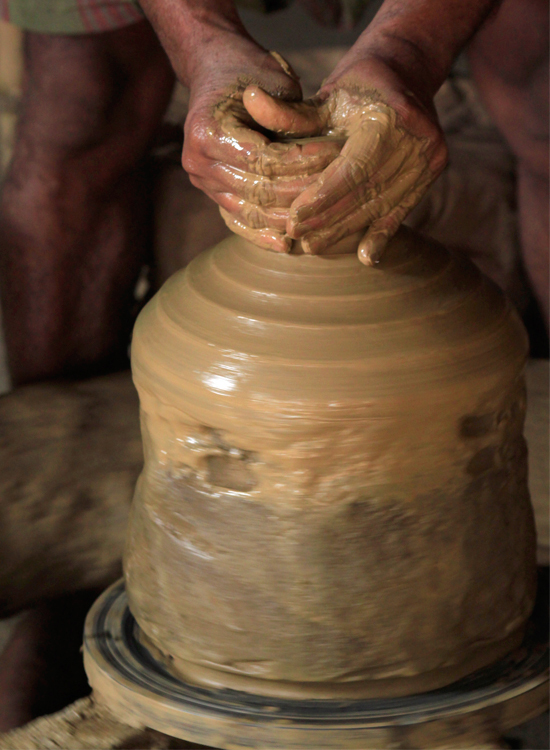 The pot is half shaped when the potter starts examining it carefully. The pot is carefully given the desired shape with accuracy and delicacy. 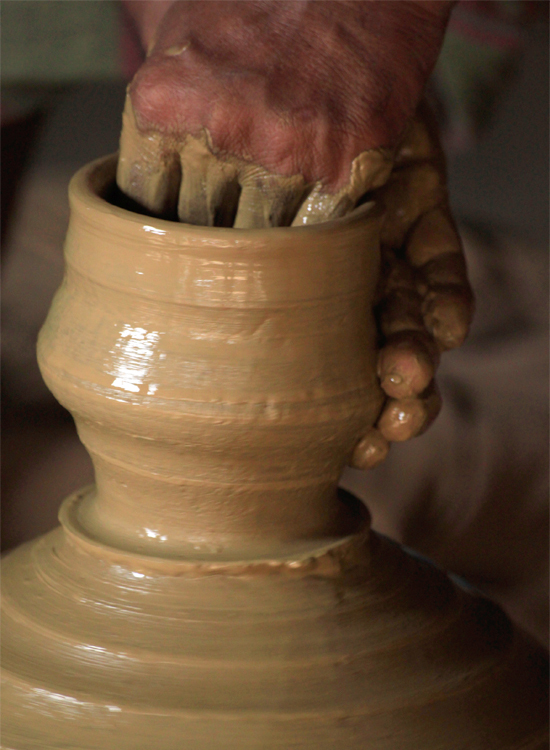 The potter carries his work with dexterity and perseverance. The pot is slowly reaching the stage of completion with close examination by the potter. 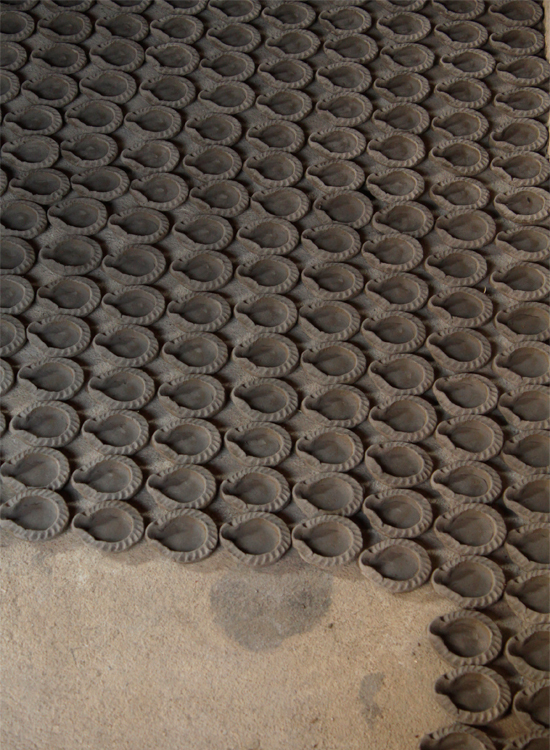 The pots are afterwards kept in the sun to dry before placing them in the kiln for baking. The pots are then placed in the kiln and the final product is ready to be sold in the market. The diyas left for drying after they have been shaped using dyes. Various pots of different shapes and sizes at a display. 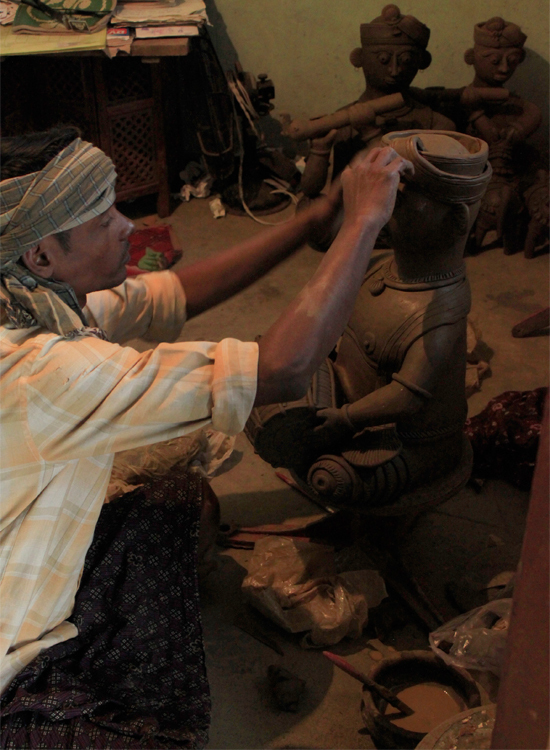 A Potter gives final touches to the terracotta statue created by him. 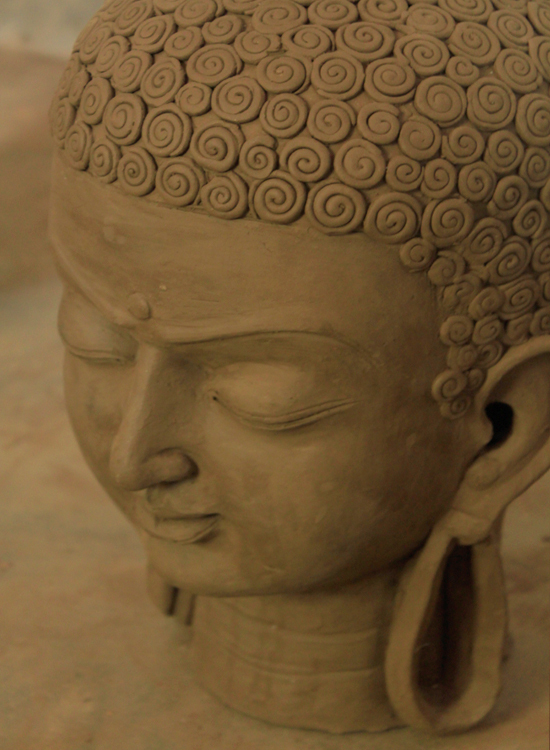 An exquisitely carved Buddha made out of Terracotta. 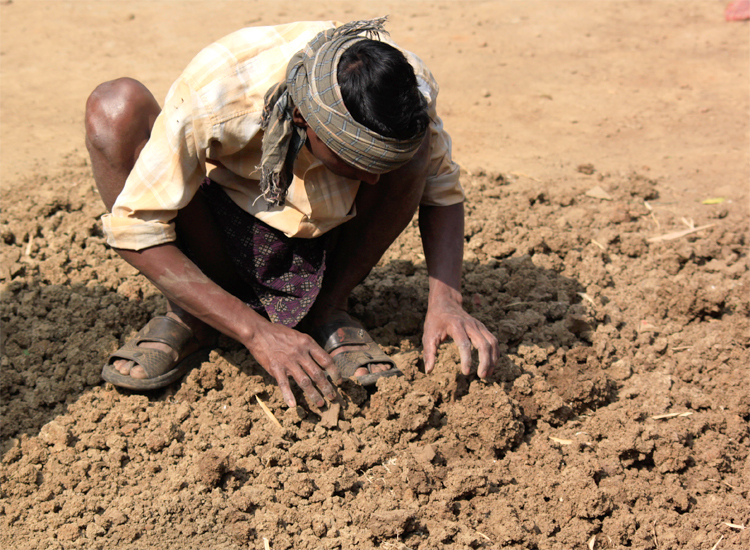 Orissa has a long history of cultural heritage going back to the 4th century BC. 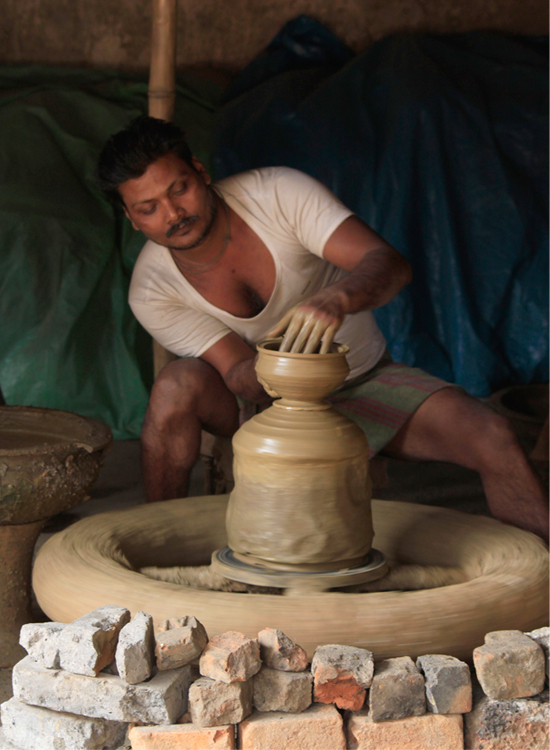 Orissa has made its mark in every field of craft in the past and continues to do so even now. From appliqué to stone carving, from bell metal to silver filigree Orissa has been able to make a name for its artistic excellence in almost every field of craft. 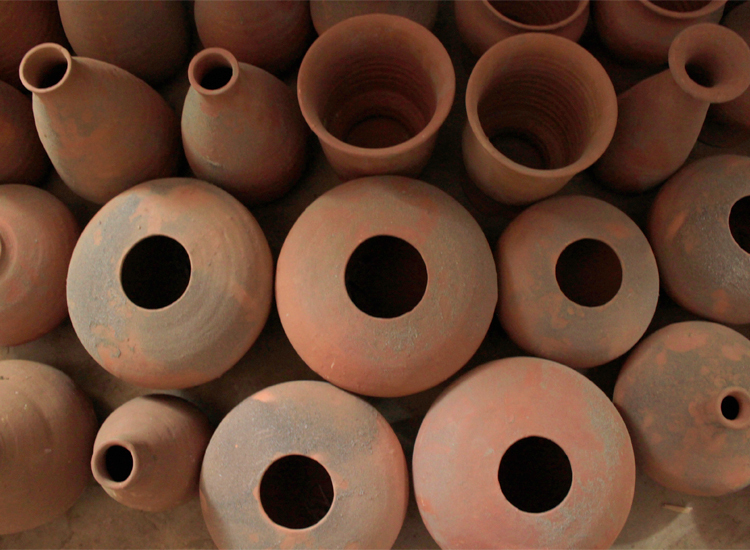 Orissa has a claim on many of the world renowned masterpieces made out of terracotta. 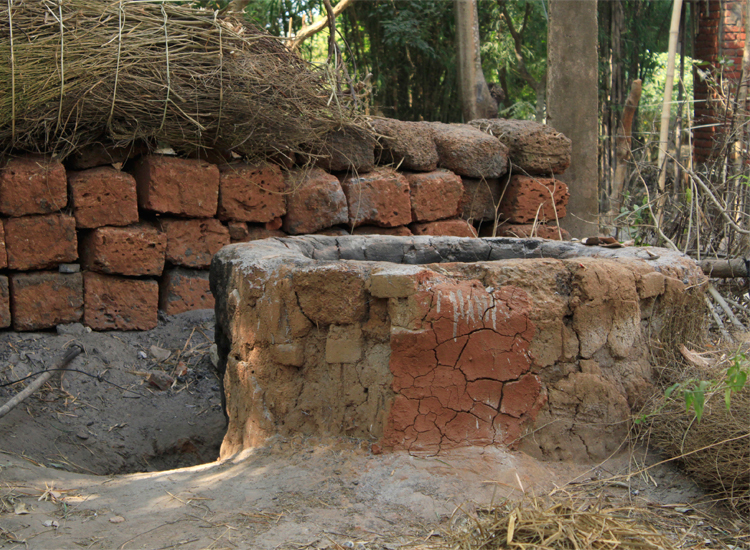 This work is mostly done by the tribal people. They use special clay and designs in an excellent manner to come out with products such as plates, roof tiles, tea cups, jars and many others. Artists prepare products and highlight them with color but they mostly leave the items with their natural terracotta color. 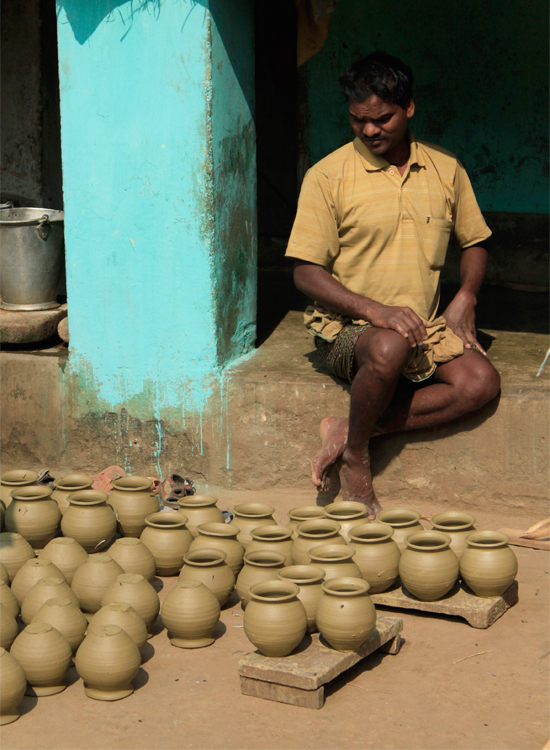 Potters of Orissa still make earthen pots to be used in many ritualistic ceremonies. They are made in various forms and designs. The products range from household ones to the artistic ones.